Now that we're three games into Patriot League play, it's time for the first edition of our Power Rankings. See below for a team-by-team breakdown as we head into the fourth game of the 18-game conference season. Well, any talk of going undefeated in the league was quickly put to rest when Boston went into Sojka and dethroned the Bison. The notable from that game: Nana Foulland fouling out, taking just four shots, and scoring eight points. Surprisingly enough, Foulland followed the loss up with his second single-digit-scoring game of the year with eight points vs. Army, but in an easy win. Bucknell is actually 4-1 the last two years when Foulland doesn't hit 10 points. Bucknell almost always has a depth advantage against any Patriot League team, but for at least one night the Terriers' top eight matched the Bison's and that's a big reason why they pulled off the road upset. Consider that eight guys played between 13 and 32 minutes and four scored in double figures. That's the kind of depth that can make BU tough, but it's not consistent. Next time out, Hankerson sputtered to eight points, just two players reached double figures, and BU fell short at Loyola. Defense, in particular on the interior, has been Navy's calling card the last couple seasons but not this year. Minus a shot-blocker, Navy's Patriot League opponents are shooting 56.8% on twos and Navy's 3.8% block percentage (including all games) is 347th nationally. However, the Midshipmen are getting it done offensively. Witness the American game, where they made 11 of 21 3s including an out-of-nowhere 7-for-8 performance by Bryce Dulin. Through three games, Navy is shooting 41.7% from deep. What to make of Loyola, which sandwiched wins over Navy and BU around giving up 86 points to Army? Hah, I don't know. Is there a more inconsistent team in the league? What's weird about this is that no one relies less on the 3 in the Patriot League than the Greyhounds, who attempt just 23% of their shots from deep (and rightfully so, as they make only 29% of them). The defensive strategy against Loyola isn't overly complicated — pack it in. We'll see how AU fares vs. them Thursday night at Bender. You can't lose to Lafayette, especially at home! That's what dropped Colgate from 2nd or 3rd to 6th in these rankings. Still, Colgate has one of the most balanced offenses in the league and a team that took around 45% of its attempts from 3 during the nonconference is down to 39% in league play with a pair of slashers, Jordan Swopshire and Jordan Burns, who can both finish at the rim (59% on twos). Throw in three 43% or better 3-point shooters (Swopshire, Will Rayman and Jack Ferguson off the bench) and this team will be tough to guard throughout league play. Nobody plays faster than Army with a 74.8% adjusted tempo and 14.4-second average possession length. For playing so fast, Army also takes really good care of the ball — turning it over on just 16.5% of its league possessions. Now if only it could finish at the rim. Perhaps because of its breakneck pace, Army is shooting just 47.3% on twos and has had a league-worst 11% of its shots blocked. We'll get a closer look at the Black Knights Monday at Bender arena against a team with no shot blockers. Nobody's been crushed by the concussion bug like American. What is this, the NFL? In addition to Mark Gasperini missing the entire season to date, three other Eagles have missed time. 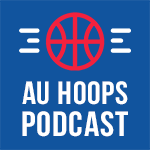 In all, AU's lost 25 games to concussions. Rough stuff for a young team. The Crusaders haven't won since Dec. 9 (tied for the longest draught with AU) and have no interior presence. Their FT rate of 13.4% in league play would easily rank them dead last among 351 college basketball teams. Additionally, they're rebounding just 20.4% of their misses and allowing opponents to grab 30.5% of their misses. None of these are good signs for a team that makes just 31.3% of its threes.